If you are on F&H, use the soft brown things instead of a bun and this will make the whole meal 2sp. If you are counting like me, feel free to use a thin if you prefer. 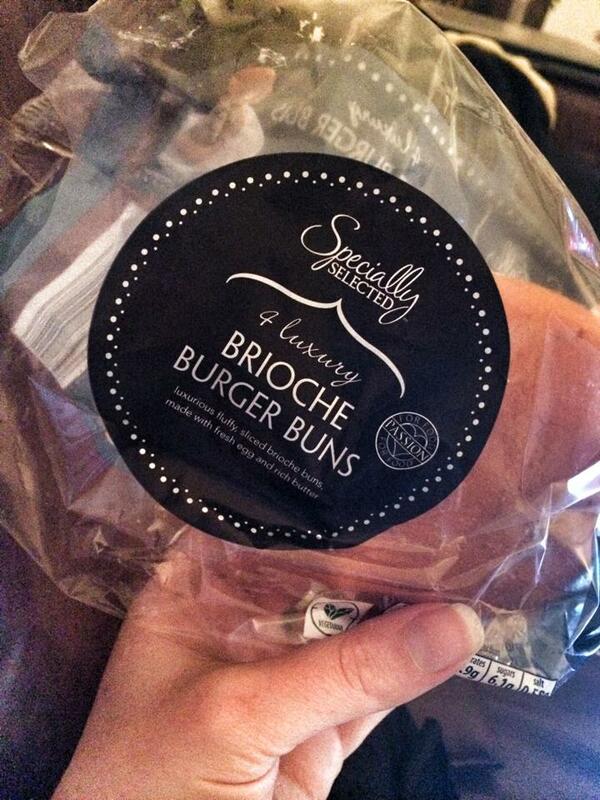 I found these brioche burger buns in Aldi (4 for 99p! ), did a quick calculation and they are a bargain for 5sp! Begin by par boiling the butternut squash (BNS) in salted water for 6-7 minutes. Drain and pop onto a baking tray sprayed with 1kal. Spread the BNS wedges out evenly, season with salt and pepper and a little jerk seasoning (you can also top with a tsp of breadcrumbs for an extra point). Pop in the oven on 180c for 45 minutes. 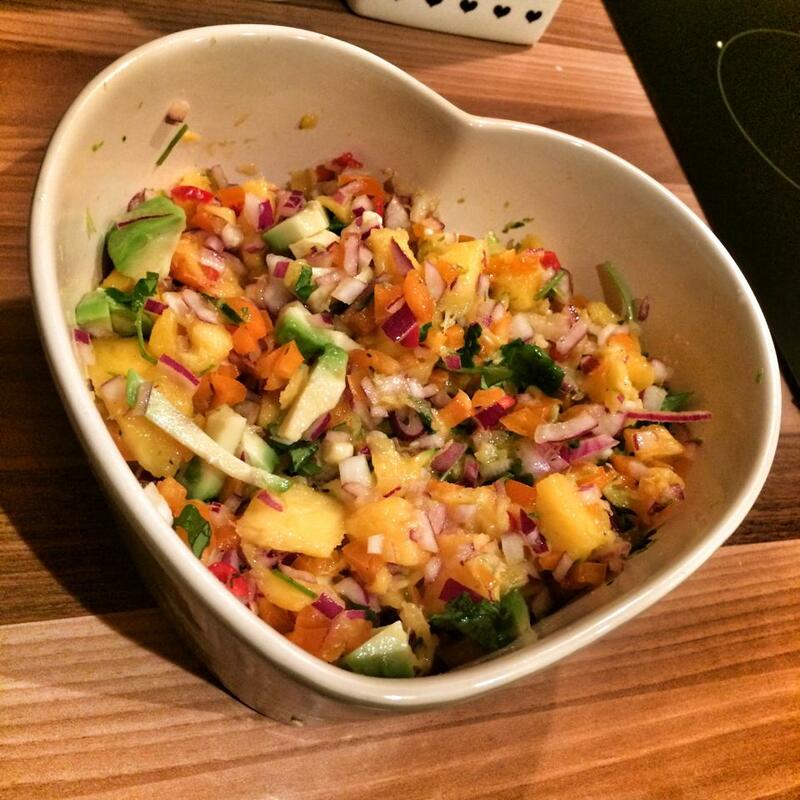 To make your burgers pop the spring onions, apple, coriander, garlic, jerk and egg into a large bowl. Get your hands in there and combine well. 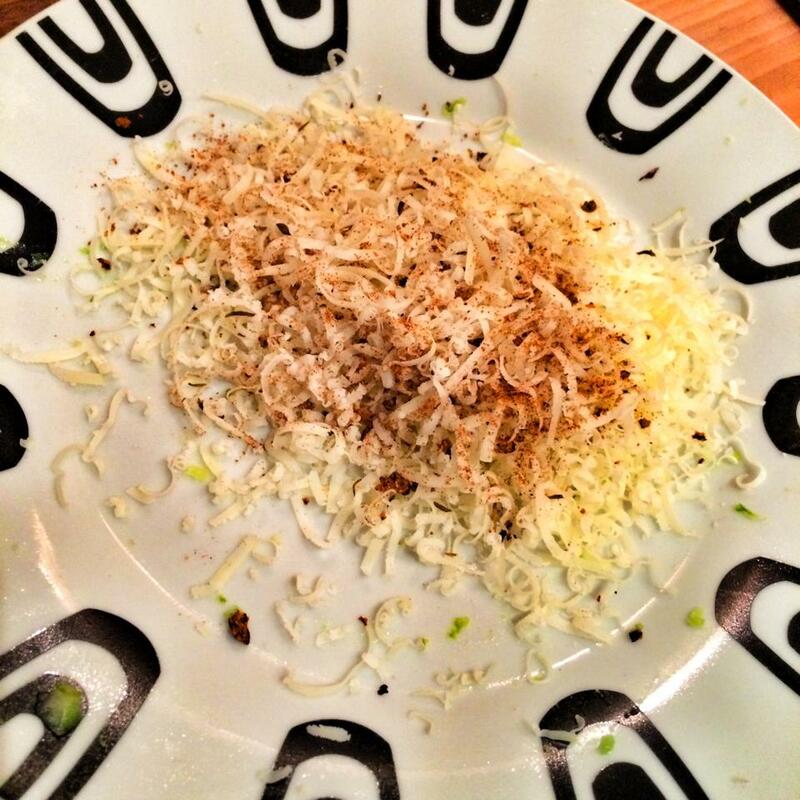 Season and add the breadcrumbs and mix in. 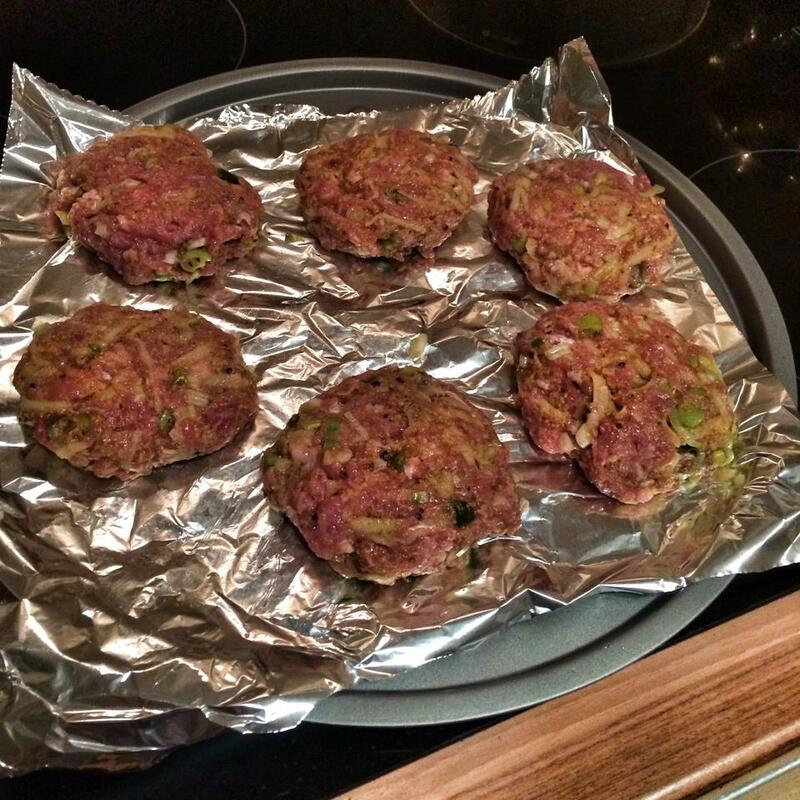 Then shape the mixture into 6 burger patties. Put a slight dent into the middle of the burgers with your thumb to stop the burgers bulging up. Pop onto a baking tray and pop in the oven with the wedges (my wedges had been in 15 minutes at this point so the burgers went in for the last half an hour). At the last minute, pop on a little cheese and pop back in the oven for a minute to let it melt. While the burgers and wedges are cooking prepare the salsa by literally popping everything into a bowl and giving a good stir. Once everything is cooked, pop the burger/thin on the plate. 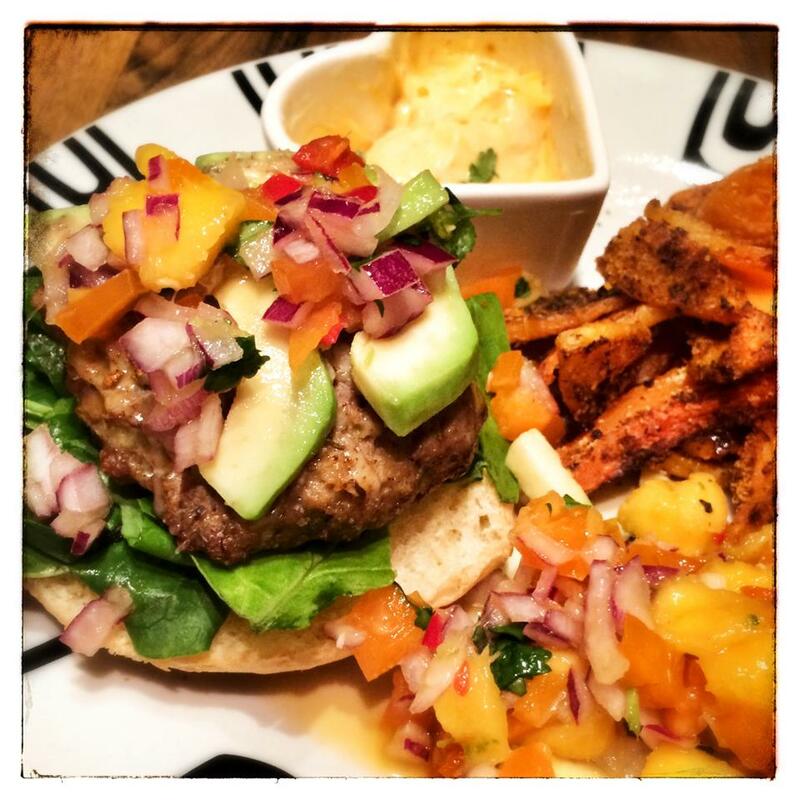 Top with salad leaves, the burger, then a slice or two of avocado, then the salsa. Pop the lid on. Serve with the BNS wedges and a large extra dollop of the salsa.